Print CAD files in batches via command line. Total CAD Printer automates the process of printing CAD files in batches. Supported formats include dxf, dwf, dwg, plt, hg, hgl, hpg, plo, hp, hpgl, hp1, hp2, hpgl2, gl2, spl, prn, svg, cgm. Now all detailed CAD line drawings can be printed in batches via GUI and command line. Everybody working with CAD files dreams to automatically optimize printing tasks. 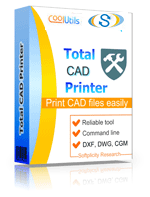 Total CAD Printer allows you to print out folders of DWG or DXF files in few clicks. And there is no need for AutoCAD. If you have several printers Total CAD Printer will send any CAD file to a specified printer or port. 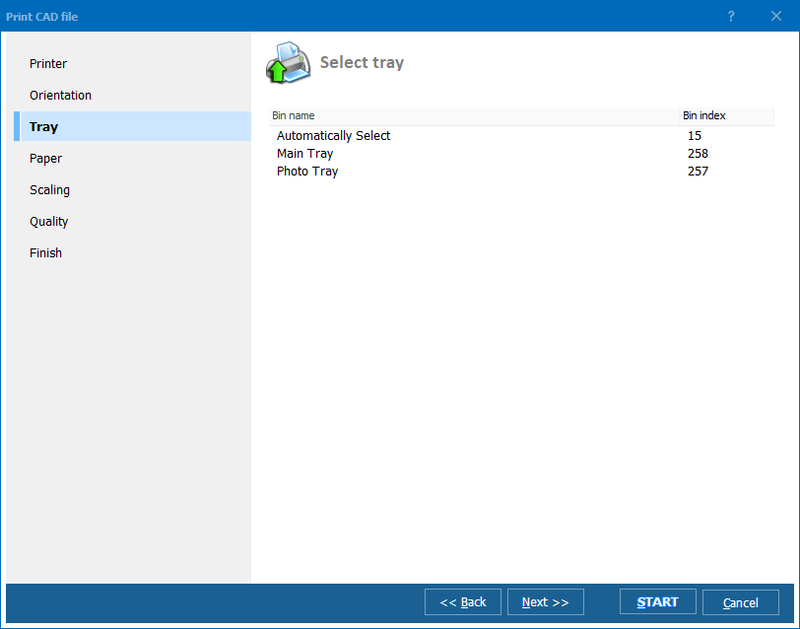 You may select AutoRotate option or set one orientation for all files (portrait or landscape). 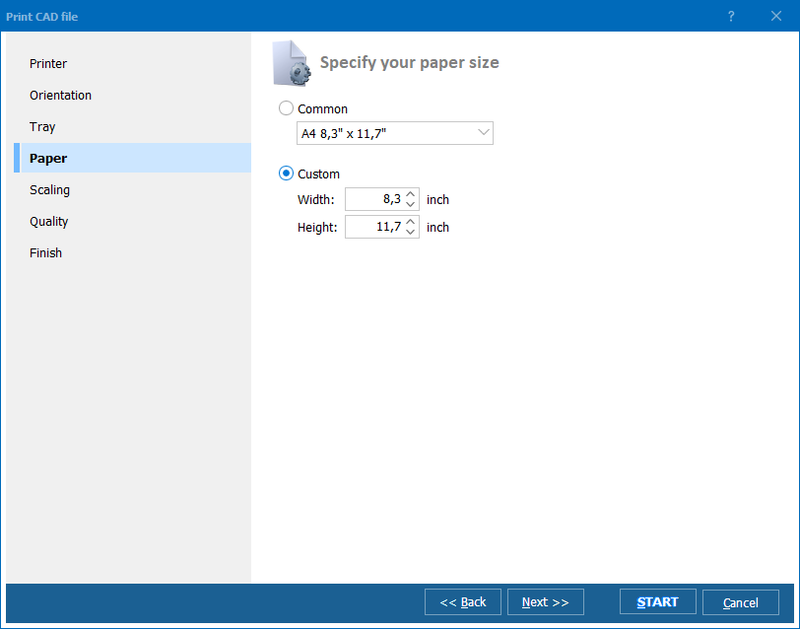 You also select tray and specify paper size. Total CAD Printer may scale the drawing for you before printing, just check Fit to Page option. CAD drawings often exceed A4 size. If your CAD files are of different sizes and you have different plotters Total CAD Printer will automatically print them the right way. The unique option of our printer is printing by parts. In case you need to print A1 file but you have only A4 plotter available Total CAD Printer will print it by A4 segments. Total CAD Printer saves you time. On top of that it saves your ink. It suggests 4 levels of printing quality for CAD files - from high to draft. Total CAD Printer has transparent interface that is very easy-to-follow. Alternatively it can be run via command line. 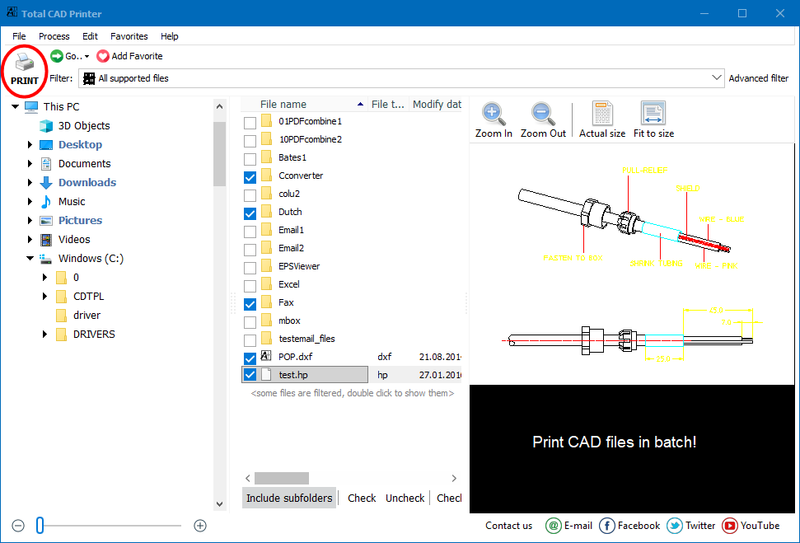 Automate large print jobs today - download evaluation copy of Total CAD Printer and print folders of CAD files in few clicks. "We are happy to utilize Total CAD Printer in our printing tasks. 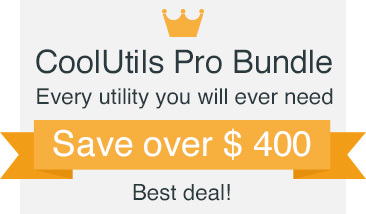 It works fast and the price was competitive. Thank you!"